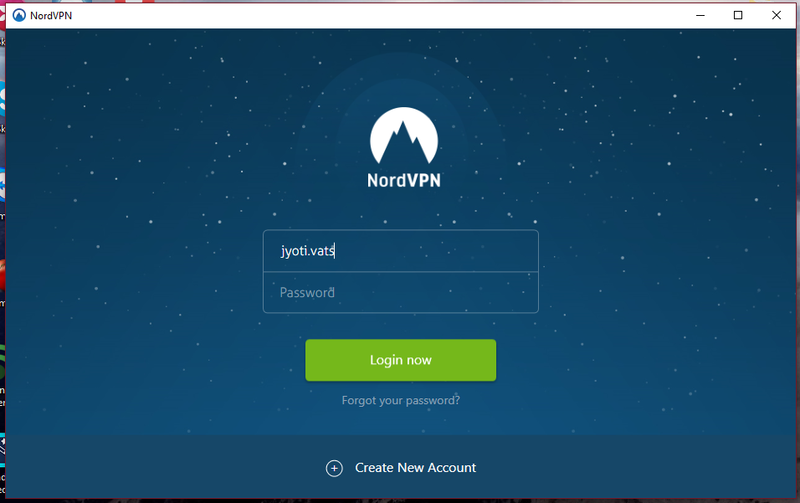 NordVPN Review: You want to stay safe online, don’t you? Every day you read a lot of hacking and spoofing news. So you are afraid that whether one day the same thing happens to you or not! On the other hand, some of you are afraid of the sites getting blocked every day. Maybe, you are a heavy consumer of the Torrent content. Sadness is that you can’t directly get access to the sites with Torrent content. If you are living in such a country, you may be screaming out loud for the huge loss. What if I give you a magic wand that turns every blocked website into working ones? 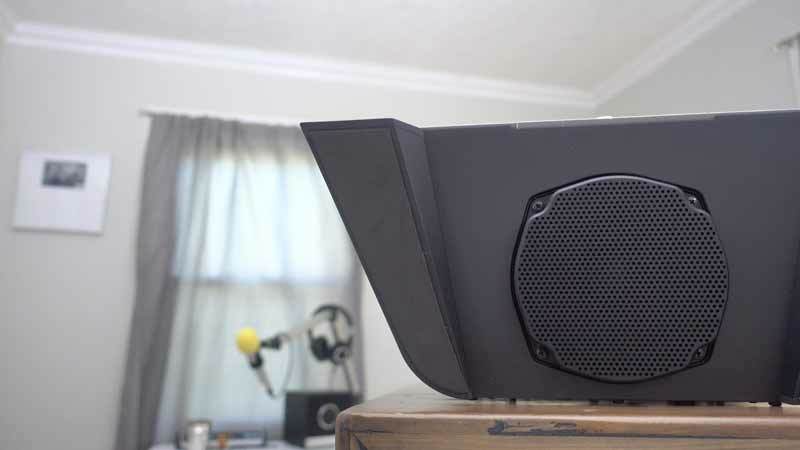 What if the same thing builds a wall of safety around your computer that makes you anonymous, thus hard to hack? Well, the magic wand is NordVPN. And, here you are going to read NordVPN review, through which I will walk you through the features, account creation, downloading, installation, and working as well. I don’t think you want an introduction to VPN, do you? 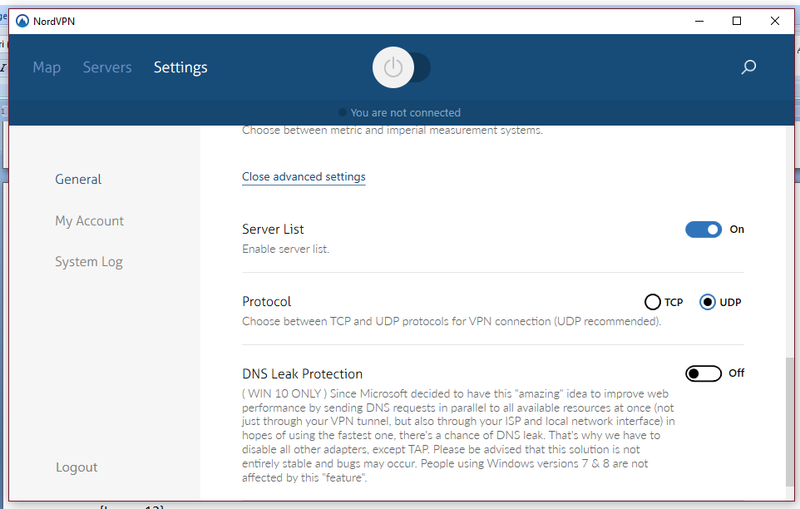 On expanding, VPN is virtual private network that creates an unreal yet unbreakable network over your existing connection to make yourself anonymous to your ISP and others. You can literally fool the geographic sensors of different websites to access geo-centric content and sites. Tons of VPN tools are out there on the web. And, you can download them in different forms like standalone software, browser extensions, mobile applications etc. But the sole function of them remains the same; that is to make you an anonymous internet user with zero constraints. As I said earlier, I want you to go through the features first, here in this NordVPN review. I have been using NordVPN for quite a few months now. Of course, I used other VPN software as well. 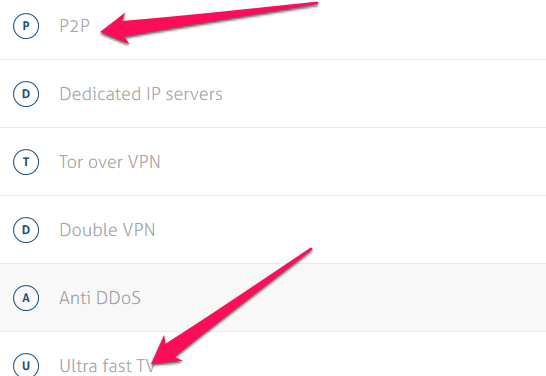 So the following in this NordVPN review are the features that I found enticing to any VPN user out there. How many gadgets do you have? One? Two? Three? Four!! Now, do they really running on a single platform? Of course not! At least, you do use a couple of operating systems. In my case, I use both Android and Windows. I know there are those people who have Android, Windows, iOS, Mac, maybe Linux as well. So the point is we want to protect the network traffic in and out of all these devices and, an ideal VPN should support all these platforms. NordVPN got you covered. It supports Windows, Linux and Mac in computer department. So, you can enjoy being anonymous on these platforms. 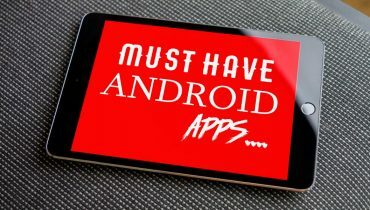 Moreover, they have mobile applications for both Android and iOS. I don’t think you have a device with another platform for which you want to apply VPN. Did you see? You don’t have to worry about platform support anymore. All you have to do is sign up for NordVPN and choose the appropriate platform. That’s it. Even though you can directly download mobile applications from respective app stores, you can’t make it functional without NordVPN account credentials. I think you found it useful to read this NordVPN review. The major reason why people use VPN is the geographical limitations imposed on them. For example, you can’t use Netflix on Pakistan. That means, you need to be in another country to use it as the way everyone does. There’s no point in staring to ‘This Website is Not Available in Your Country’, is there? YouTube is also in the bandwagon of websites that has geographic constraints. Some videos can’t be viewed from some specific nations. You get this video isn’t available in your country warning. But some websites are kind enough to give the access. Still, they hide certain advanced features from being used by the users in definite countries. It is practically impossible to change your location. You can’t visit America only for the sake of accessing Netflix. Then what is the best way to get rid of this limitation? Well, again VPN comes into play. As I said in the beginning, an ideal VPN can effectively fool every website to make a feeling that you are visiting from a different country. That means, you can access Netflix from Pakistan with the help of a brilliant VPN tool. Brace yourself! 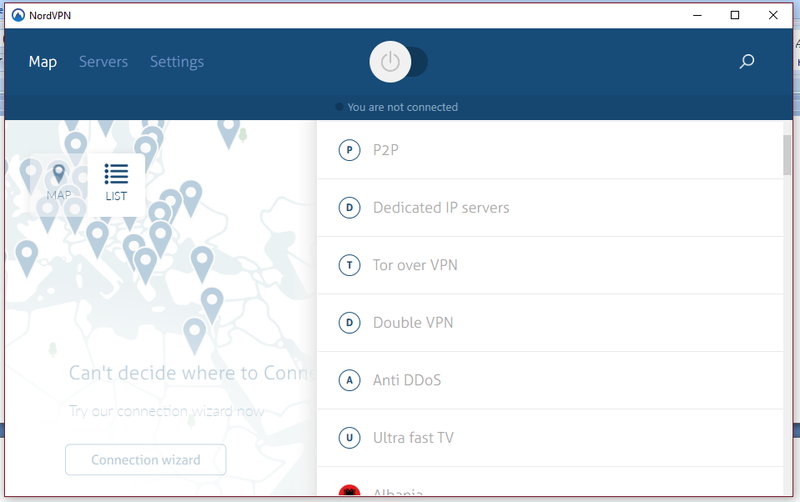 You are about to read one of the impressive features in this NordVPN review. NordVPN supports 52 countries and, the list is growing. All you need to do is just choose the country and hit Connect. Once the connection gets established, you will be virtually on that particular country. They have about 637 servers all around the globe in those 52 nations. Have you ever used a VPN service? If you have, you know a VPN connection decreases the speed of your network simply because the data has to travel through an extra channel. So do NordVPN decrease the network speed? If I say it does, you will think I am a liar because every single VPN connection adversely affects the speed of the data traffic. 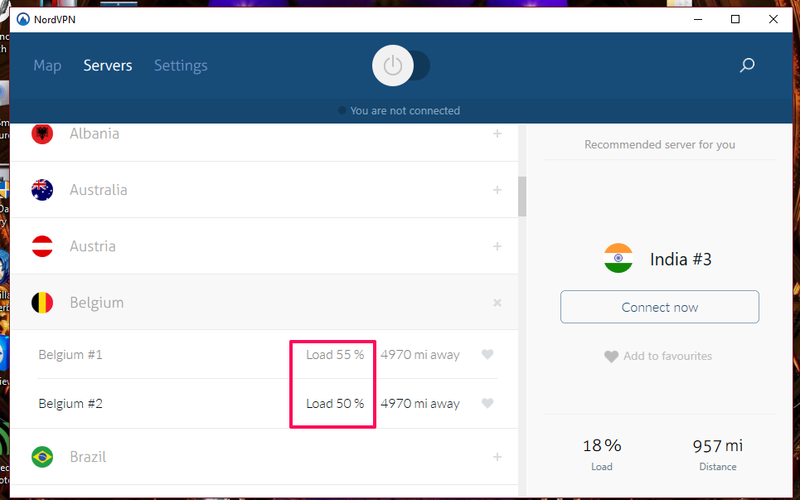 Here in this NordVPN review, I want to tell you that the speed drop is hardly noticeable. Once you set up everything for NordVPN, you can minimize it to the system tray and, use the web in the way you usually do. Just tell your sister or brother to use the network. They will never spot any difference in the speed. Of course, you can spot the minute change by running a speed test. You don’t have to worry about the speed drop anymore as NordVPN does nothing to it. As I said earlier, the extra VPN channel makes the data to travel a little bit more. Nothing much! Speed stays normal and safety finds the zenith. That’s what you want, isn’t that? Are you a person who constantly travels? Do you need to access your sensitive data like net banking account via a public wifi network? Most probably, you don’t do it if you are a person who is aware of the security risks it involves. An expert hacker can track your IP and leak the details. But you are craving out for a solution, right? Maybe you are not convinced by the single VPN connection that just masks your location. So here I introduce the double VPN connection in this NordVPN review. The name says it all. Double means two. If you activate a double VPN connection, your data will be encrypted twice via a couple of VPN servers. The setting up of the same remains the same as connecting to any other server. (I will explain it in detail under configuration portion). They give you six double VPN connections to enhance the security. All you have to do is choose the less-loaded one and activate it. The double layer of virtual private networks makes it difficult for the sneakers to gather the details about you and your online activities. So, you will remain safe for ever, and your activities remain anonymous. Torrenting is not legally covered. A lot of torrent websites have been blocking day by day in different countries and, that made VPNs even more popular. 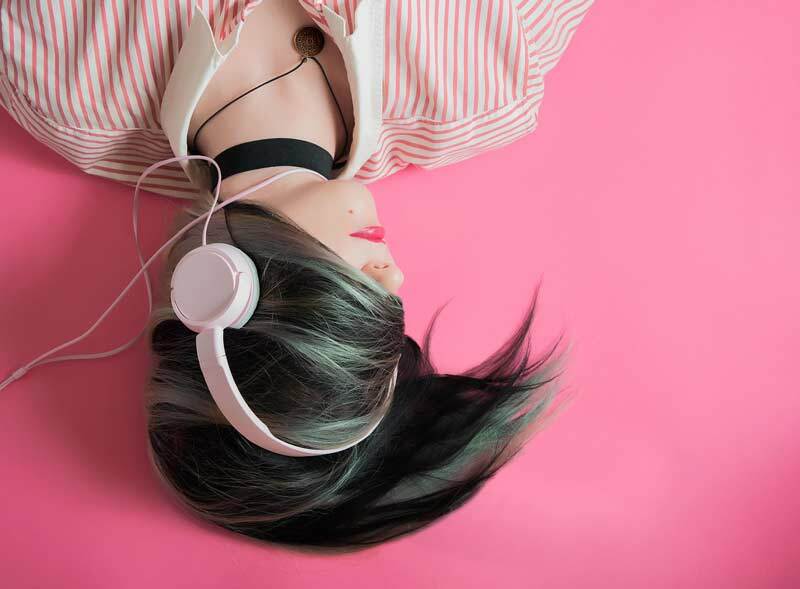 If P2P is your primary use of having a VPN, then you should be extra vigilant while making the selection because not every VPN provider supports unlimited P2P traffic. Some VPN blocks P2P and some other impose restrictions on the usage that you can keep on using forever. But NordVPN users are lucky. They aren’t limited from using P2P websites. Is this the best thing you hear in this NordVPN review? A lot more is coming! You don’t have to do anything special. Just sign up for an account, install the appropriate software abd login to your account. On a final note, you have to establish the connection after the selection of the best server. There you go! You can then experience the power of P2P without any issues. I recommend using double VPN on countries where P2P is illegal. Doing so not only gives you access to the blocked content, but make you safe as well. As I said earlier in the beginning of features section, you may have multiple devices on which you want to secure the web traffic. Sometimes, one of your family members needs VPN protection at the same time you need. What can you do? Being a paid tool, VPNs don’t allow simultaneous connections. If someone logs into your account while you are using it, you will be logged out in no time. So you want a VPN service that supports multiple platform support and simultaneous connections. We have talked about the former at first. NordVPN support up to six simultaneous connections! Yeah you heard it right, SIX! That means you can embrace the anonymity using the same NordVPN account on six different devices at the same time without any connection problems. As NordVPN supports almost all the platforms, you will not find it difficult to install the clients on your devices. You don’t have to activate anything in particular to enable simultaneous connections. 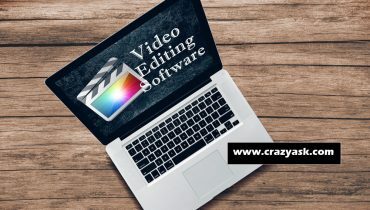 Just load up the software, establish the connection and, you are good to go. I know you are clueless about this feature as the name doesn’t speak everything. But you know it’s something related to media playback from the word ‘Play’, right? In every single VPN clients I have used so far, you have to select a different country (most probably, US) to get access to geo-specific content. Almost every time, I found it tedious to open the interface and change the location on start up (I forget to change the location often). If you are such a person who finds it boring to juggle between location to location for consuming different content, you are going to love Smart Play feature in this NordVPN review. What it does is quite simple. But the positive outcome the same brings is huge. Once you activate Smart Play feature, you will not have to switch between different locations neither will you get ‘not supported in your country’ banners as well. Smart Play feature automatically detects the geo-specific media content and unlocks the same for you. Yeah, you just read it right! No pain and, still you gain. Just access the settings and scroll down a bit. There lies the feature we all want, Smart Play. Just click on the same to switch it over to On position. That’s it. You might have read this a lot in other VPN reviews as well. NordVPN doesn’t record any of your online activities neither does it transfer user details to any agency as well. Lately, there was news popped out that HolaVPN hands over user details to security agencies. And, it negatively affected the user-base of the service. Is there anything wrong with the hand over? Of course, yes. I know you are not a terrorist. Still, accessing unblocked websites is illegal. Are you terrified? No need! You just have to make the right selection. After reading NordVPN review so far, I guess you have got the gut feeling that this one has to offer something special, right? NordVPN doesn’t log anything other than your account details and payment information. So, even if any security agency forcefully checks the server, they can’t find anything unusual. Apparently, you remain safe forever. Let’s say your VPN connection drops while you are using it. What will happen? It’s obvious that you will be exposed and the anonymity disappears into thin air. Do you want this to happen? As a person who wants to keep his/her online activities private, you don’t want to be exposed to tons of vulnerabilities on the web. There’s one thing from NordVPN that’s going to cheer you up. You already read about it above. Yeah, it’s automatic kill switch, which doesn’t get rid of the online mask you wear. Once the VPN connection drops, it automatically shuts down the sites you use. Obviously, no one gets a hint of what you were doing. Every VPN server has a definite capacity. 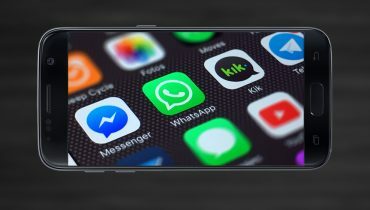 When it gets loaded heavily, the connection drops may happen. That’s why you should give extra attention while selecting a VPN server. As a VPN user myself, I think automatic kill switch is a revolutionary feature every VPN should have. You need to activate the same from the Settings panel. And once you do, no connection drops will reveal your identity. Isn’t this NordVPN review useful? DNS leak is a disastrous happening for a VPN user. We all know that every website has an IP address. When you enter a URL, on the backstage you will be connected to a DNS server and it sends you to the correct IP address. The DNS (Domain Name System) server is assigned by your IP address. They do it so because they can analyze traffic in and out of the server. Guess what? You are unsafe to use those. But a VPN, on the other hand redirects your query to an anonymous DNS server to protect your privacy. You get the desired content and your ISP can’t track your activity. But sometimes, your browser forgets you have a VPN and, it send the query directly to the DNS server (called DNS leak) assigned by your Internet Service Provider. You can’t predict when this happens and the uncertainty makes this issue vulnerable. Again NordVPN has a solution. They have DNS leak resolver. Just like the automatic kill switch, you can find this one on Settings panel. On activating this one, you will not have to bother about DNS leak anymore. You know there are multiple VPN protocols, right? Each protocol has its own advantages. And, you need to recognize which one you need and then choose. But for that to happen, your VPN client should support multiple protocols. Here I am giving you yet another reason in this NordVPN review to cheer up. NordVPN support OpenVPN, PPTP, L2TP and IPSec protocols. 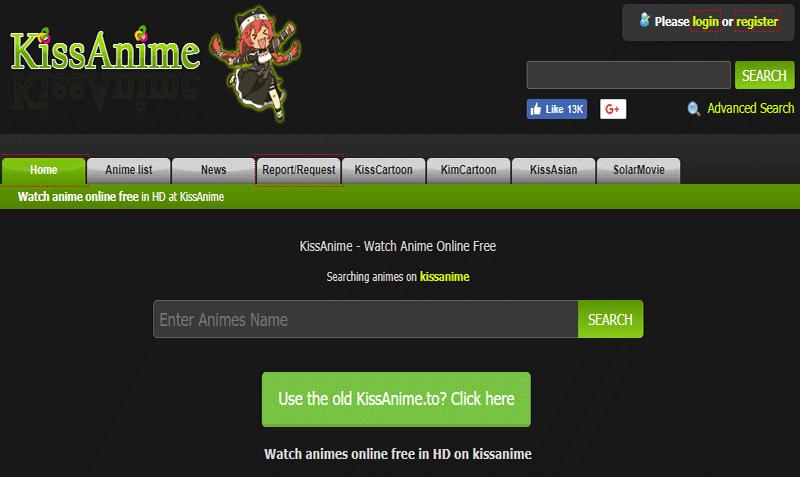 You can choose any one and, start browsing anonymously without any issue. NordVPN doesn’t confuse you with complicated user interface. Once you install the client, it will be opened automatically without waiting for you to take action. 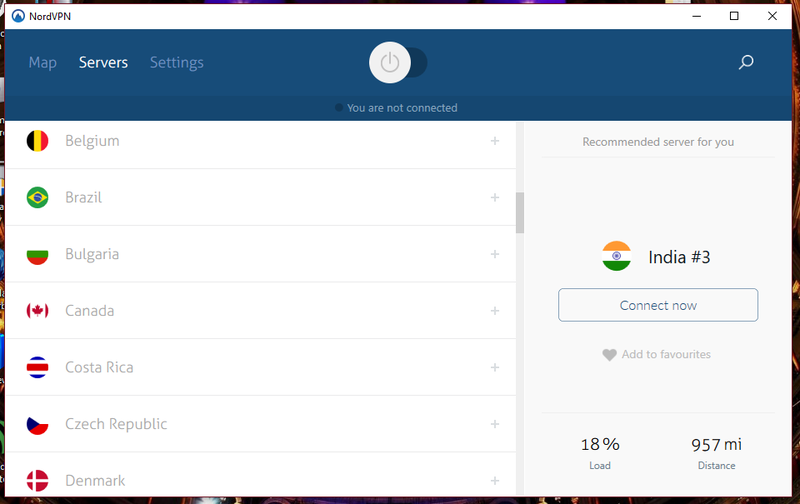 One of the best things you get to know about in this NordVPN review is the Connection Wizard. You may be an experienced VPN user that you don’t need a helping hand to establish the connection. But there are tons of first-time users. The connection wizard finds the best server for you and establishes the connection within a few moments in a single click. Isn’t that awesome? They have multiple tabs on the top called Map, Servers and Settings. The last one is where you find advanced features like Automatic Kill Switch, Smart Ply and DNS Leak Protection. Even after reading this NordVPN review, you may stay skeptical about this service. So I recommend you should make use of their money back policy. 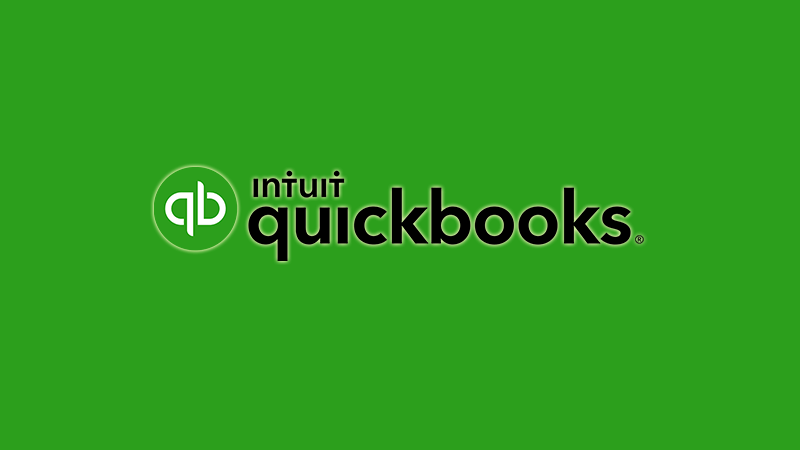 Moreover, you can use it to request your money back in case you don’t like their service. I haven’t seen many VPN providers giving a whole month of money back policy time. So you have read a dozen of the features in this NordVPN review. Now I want you to get into the action. 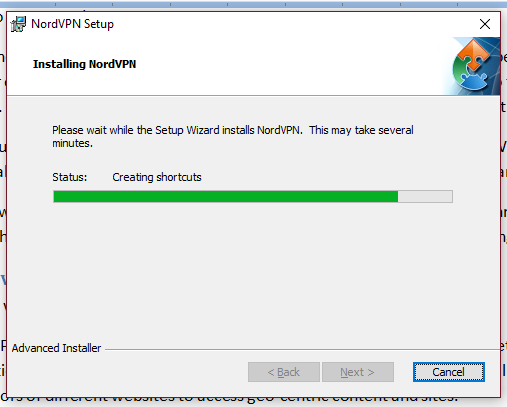 I have described each and every step you need to follow in order to establish a VPN connection using NordVPN. Step 1: First, you have to visit NordVPN website. There, you can see a yellow Get VPN Now button, can’t you? Just click on it. Step 2: Now what you get is the pricing table. As shown in the image of this NordVPN review here, you will get three different pricing packages. Every feature remains the same as the differences are in the duration and the price. So, just choose one of your conveniences there. Step 3: Once you choose the pricing plan, you will be lead to the checking out page. There, you have to enter email, password and the payment details. Everything can be done in a couple of minutes. As far as payment is concerned, they have a lot of choices including PayPal and Bitcoin. Don’t forget to agree to their terms. And finally, hit Buy Now. That’s it. Step 4: You may now have to go through a couple of usual procedures. From now on, you can log into your account to kick-start the anonymous surfing. Don’t worry! The setup is even easier. 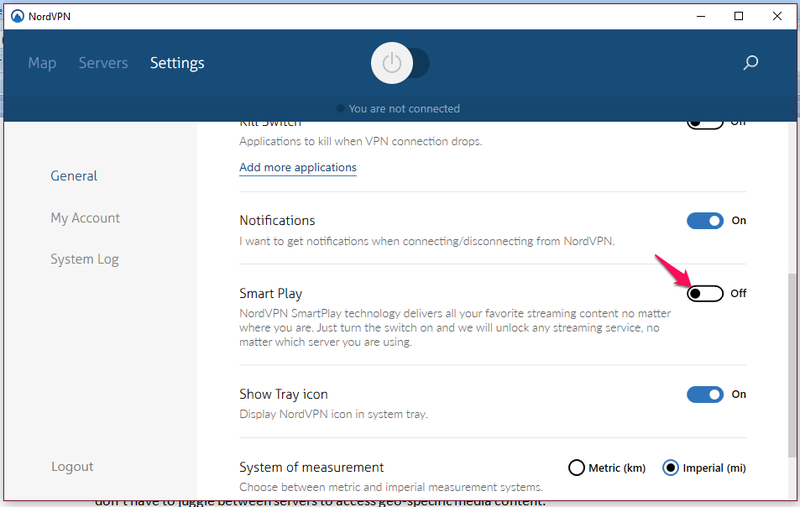 So now in this NordVPN review, you are going to read how to install the client and establish the VPN connection. 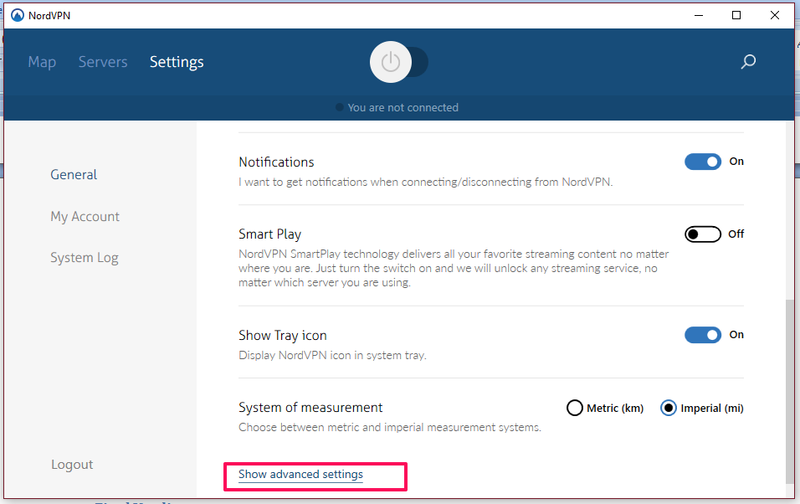 At the end of this NordVPN review, I will show how to activate some extra features as well. Step 5: You have to log into your account to get access to the executable installer. Don’t get panicked. All you have to do is just click on My account from the top navigation bar on the website. Step 6: You will see a login form next where the credentials should be put in right away. I hope you remember or saved the password you gave while you set the account up. If not, you can reset it using your email ID as well. Step 8: You can see a lot of options there. So, just choose what is compatible with your system. Here I chose Software under Windows 10. Step 9: It will download an executable file right away. For me, the file size was 14 MB. It may vary as they roll out regular updates. I don’t think you need the help of this NordVPN review to install the client. Just do it as you install any other desktop application. You will have to press Yes on an administrative privilege providing window. And, it will ask you whether or not install the service (a firewall warning). Choose install there. 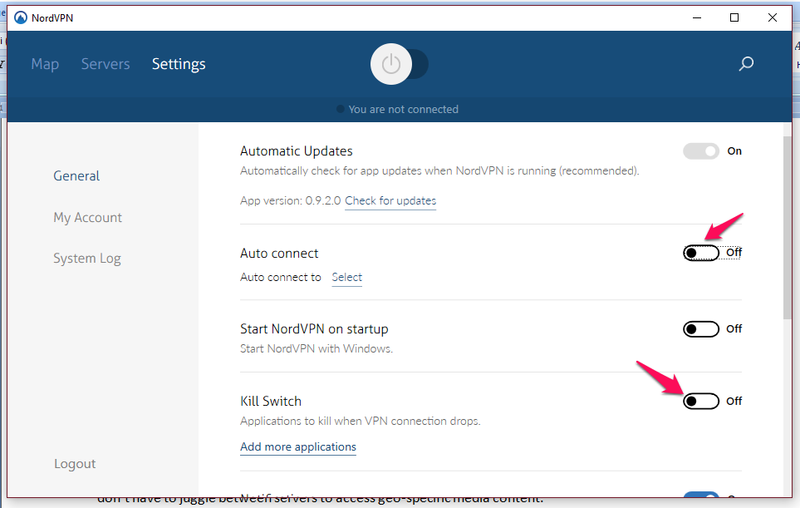 Step 10: After a few moments, the setup will automatically exit and you can see the interface of NordVPN. Yeah, it will open itself. You need to provide the credentials here. Step 11: You can see three tabs there. All you have to do is selecting a server. You can choose it from the map or list. I recommend you should have an eye on the server load because the lesser the load, the more the performance will be. Just click on the server and, you will be connected right away. N.B.- In case you don’t know which server to choose, you can easily do it right by clicking on the connection wizard. It will make your job easier by recommending and connecting to the best VPN server for you. That’s it. You just read how to establish the connection in this NordVPN review. Now I want to show how to activate a few settings that ensures the maximum safety. How to Activate a Few Additional Features? Here I am talking about four features; Auto Connect, Automatic Kill Switch, Smart Play and DNS Leak Resolver. All the four settings can be found on the third tab of the client interface. Auto Connect:- Don’t confuse this one with auto startup. Auto startup starts the client when your system boots up whereas Auto Connect establishes a VPN connection on opening NordVPN. While turning this feature on, you have to choose a server to which it connects when you open the interface. Automatic Kill Switch:- As I said earlier, kill switch closes the application using which you access the web when the VPN connection drops. For that, you need to add the applications for which the VPN security is mandatory. Smart Play:- You don’t have to set up anything. Just turn this on and there you go. From now on, you don’t have to juggle between servers to access geo-specific media content. DNS Leak Resolver:- This one is more advanced among the lot. So, you can’t find it even after scrolling down to the bottom. On the bottom of the Settings panel, you can see a link that says ‘Show advanced settings’. Choose I know what I am doing. Then, you will see the option at the bottom. Just turn it on. Sadly, not every Windows versions supports this; only Windows 10. You are at the end of this NordVPN review now. I guess I have explained the significant details about them. You already know the price. What I can tell is you can’t find an alternative to NordVPN with all the features. Of course, there are more VPN service providers. But all these features for this price is impossible to get your hands on. As I said earlier, they have a month of money back policy. So simply try and then, you will get to know of their service quality. In case you have any doubt regarding this NordVPN review, just let me know of the comment section down below. I will reach out to you as soon as possible.